The Brotherhood of Randis (also known as the Randis Brotherhood) has grown from a cult of personality to a Periphery state unit of some renown, famous for both its harsh initiation practices and the missions of mercy it has undertaken to rescue planetary populations from the deprivations of piracy. They hold the protection of Randis IV as their top priority. Prior to Erdelmaine Randis' arrival on Hope IV, the planet's population was under constant harassment from MechWarriors and other former military members seeking to either subjugate their own little patch of the Periphery or merely trying to stay alive. That changed in 2988 when Randis formed a very small cadre of these misfits into a dedicated band of Christian solders (though practicing a variant of the religion that was unique in its methodology). Along with the proclamation of control of the planet (now renamed Randis IV), the unit began to cleanse the world of troublemakers and sought to defend it from outworlder attacks (primarily pirates). The Brotherhood, from inception, was very exclusive and bound to the BattleMech as its weapon of choice. Indeed, they perceived non-'Mech combat as beneath their status, declaring it wretched and "unchivalrous." They based their pseudo-religious order around a dedication towards developing what they viewed as the ultimate form of combat. Their devotion was complete: they turned over their lives, their financial assets and even their families to the needs of the order. The Brotherhood's military might during this period was questionable: they were assumed to have control of less than 12 operational 'Mechs in 3025, mostly of the Light variety, and of dubious capability. The strict and harsh training method resulted in MechWarriors with equally dubious combat skills. Despite their intentions to improve the quality of life on Randis IV, their focus on MechWarrior training came at the expense of the planet's development. The unit would, however, seek off-world contracts, which provided a steady (but meager) source of income for the planet's economic base. Because of this tendency to seek employment, the unit was seen not as a private militia of the planet, but a mercenary unit. The few off-world jobs taken all resulted in near disasters, and the unit barely survived the closing years of the Succession Wars. Their sole victories came from defensive operations against less organized attacks on Randis IV. In 3037, Brother Galahad Frews, an expatriate of the Federated Suns, successfully challenged Randis to leadership of the Brotherhood, and assumed the title of Grand Knight. Frews initiated a new training program that changed the nature of the unit, as well as instituted policies that similarly affected Randis IV. By 3051, the professional and organized Brotherhood demonstrated its new capabilities by defeating Fuchida's Fusiliers in a claim to a Star League-era cache on Antallos, suffering at least three losses while retrieving a large number of 'Mechs. Following this victory, they were invigorated and fresh and developed a further level of fame between the years of 3054 and 3064, as they became a source of hope for their neck of the Deep Periphery. This attention brought to their numbers two former Clanners, who sought new lives around moral codes similar to their own. By late 3062, Frews had been dismissed by the Council and succeeded by Lucas Beckett, one of the former Clanners who joined in 3060. Beckett inserted a number of his own Clan standards into the Brotherhood's philosophy and he has demonstrated some skill at politicking with the Council. There has been a small movement of sorts that has developed that seeks to put Frews back into the position of Grand Knight, so that the Clan influences would be removed. Frews, however, has distanced himself from this, as he feels any disruption of the leadership would be detrimental to the unit. Under Beckett's aegis, the Brotherhood has become known to target those forces that victimize the downtrodden, providing the unit's own source of justice. In 3069 a third former Clansman, known now as Brother Nyleith, arrived on Randis IV with his Kingfisher and trophies of dead Blakists. His vocal anti-Word of Blake debates and hardened assaults on Blake-hired units in the Periphery has brought negative attention from that warring faction. Concern has been raised, too, by the increased amount of pirate attacks on Randis IV, in spite of the Brotherhood's history of anti-pirate victories. The Brotherhood appears to be operating on a long-range plan, that is known only to the Inner Circle. It has been known to violate the boundaries of both the Taurian Concordat and Outworlds Alliance, in order to pursue its missions of mercy and pirate hunts. The organization has most recently sought to improve Randis IV's industrial and commercial assets by updating the transportation infrastructure and seeking trading partners. While it is known to be in control of a secret source of wealth, the Brotherhood remains self-sufficient via a small tax upon the population of the Fiefdom of Randis. Other than the tax, it allows Randis IV to remain largely self-governed. Local worlds to Randis IV have approached the Brotherhood for educational and religious missions, for both the educational benefits and the promise of protection that comes with the Randis missionaries. The Brothers place the security of the missions as almost a high of a priority as that for Randis IV itself, and have been known to seek vengeance when the missions have been harmed. Other mercenaries have been hired to provide this protection as well, and also to gather intelligence on future targets. Their code of conduct generally means they will treat a defeated enemy with compassion and respect, but they will just as likely put human rights violators on trial. By the end of the Jihad the Brotherhood remained a viable combat force, despite a series of pirate raids that seemed to be specifically targeting the Brotherhood, rather than anything of importance on the world of Randis. While some members of the Brotherhood had been lost in the pirate raids, by 3079 it was looking increasingly likely that the Brotherhood would have sufficient numbers to raise a third battalion. As it was, both of the two existing battalions were already substantially over standard size, and all bar a tenth of the 'Mechs in the over-strength second battalion had been upgraded to use advanced technology. In 3073, novelist Clyde Cutler released a book titled Dark Periphery, in which he ties the events of the John Paul II Square Massacre to a missing construction crew from Sandro Manufacturing, and finally to the Brotherhood. His novel suggests that the Brotherhood is charged with protecting the Vatican's historical valuables smuggled off Terra in 2768, basing this conjecture on their missions of (non-profit) mercy. The Brotherhood is still considered an exclusive unit and membership remains hard to attain. While they will accept candidates with less than stellar personal histories, they eschew anyone who continues to practice questionable behavior. The moral code requires the practice of the Christian faith, with a large amount of study and reflection a requirement. Missionaries and retired knights have been known to actively recruit for the Brotherhood. Passing the tests would result in the immediate medical and compassionate care by the Brotherhood's squires, and receipt of the uniform: red and black silk, steel mesh, and a sword. 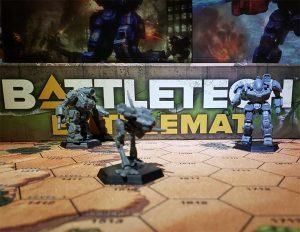 As of 3064, the Brotherhood was assessed to have 30 working BattleMechs, with enough Knights-MechWarrior to form into almost two battalions (with a source of additional candidates filling in as a MechWarrior reserve). 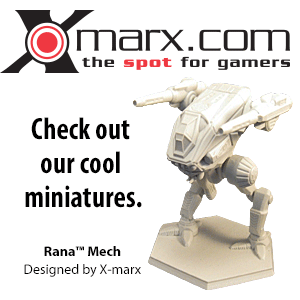 Of the BattleMechs available for use, most are of Star League vintage and two are Clan OmniMechs. Three more 'Mechs were assumed to be undergoing repairs. An assessment released in 3073 determined the unit had a mix of 'Mechs from the Rim Worlds Republic and Star League, including a few that hail from the Age of War era. Four of the 'Mechs retrieved on Antallos are rumored to be Rampages. The Brotherhood continued to expand during the Jihad, reaching a size of two over-strength battalions by 3079; in 3081 the need for a more flexible defense force for the growing population protected by the Brotherhood prompted a reorganization that resulted in the Brotherhood splitting the two battalions into three, although each of the three would only be able to muster approximately 85% of a full battalion's combat strength. Generally off-worlders seeking to join as Knights-MechWarriors, they receive no official BattleMech or ASF instruction, instead having to arrive with the knowledge or seek it from a Knight-MechWarrior mentor. Their duties include supervising squires, assisting in maintenance, escorting non-native military guests while on-planet and providing for the defense of Randis IV, when necessary. In order to receive a small salary and have their other needs met, they must pass a background and security check, as well as demonstrate technical proficiency. As the fighting force of the Brotherhood, the Knights are made up of ASF pilots and Knights-MechWarrior who have demonstrated extensive skill in their chosen area of combat, as well as in-depth knowledge of religion and philosophy. Though physical tests are no longer required, a duel must be performed. An elaborate initiation rite still exists, however. The Knights may also mentor a Knight-Candidate and may represent the candidate to the Grand Knight, when deemed ready for testing. Members who provide technical, labor and other non-combat support for the military members of the Brotherhood; typically from the native Randis IV population, they are paid well and provided room & board. Some are known to tithe all of their salary. They must undergo a background check and a security interview, before passing the initiation rites. Comprised of all Lord and Lady Knights and led by the Grand Knight; acts as a legislative body and can dismiss and elect a new Grand Knight. The Council also knows the secrets of the Brotherhood of Randis. An unknown organization within the Brotherhood, presumably made up of the top echelon; no known members have ever retired or left Randis IV. The Brotherhood of Randis paints its BattleMechs in blue, with silver highlights. Since the reformation by Frews and victories since 3054, and influenced by Beckett's Clan training, the Brotherhood has developed a one-on-one style of 'Mech combat, though they will seek to use topography to their advantage. They prepare for the anticipated battles and conduct fast strikes with hidden units or attack in waves. The unit has also been known to employ feints and flanking maneuvers. The information regarding the initiation practices of the Brotherhood comes from an essay by an unknown writer in a book (or possibly pamphlet) titled "The Brotherhood of Bastards," published circa 3002. Because the source is anonymous and unverified, there is room for doubt, though the harsh nature of the Brotherhood initiation and training was known via other sources. The use of the report contained in Jihad Conspiracies: Interstellar Players 2 is predicated on the use of the verifiable interviews of two historians on the Universal Truth program, as well as the interview of author Clyde Cutler on the same program. The statements by Cutler regarding the Inner Circle and the defense of Randis IV being a priority for the Brotherhood has been accepted at face value for this subject article. As both of these interviews fall outside the normal conspiracy theories put forth through much of the source material, the facts contained in them have been granted a higher degree of validity. ↑ Masters and Minions: The StarCorps Dossiers, p. 234, "Lucas Beckett"
↑ Jihad: Final Reckoning, p. 116, "Lesser Periphery And Pirates"
This page was last edited on 4 March 2019, at 08:56.